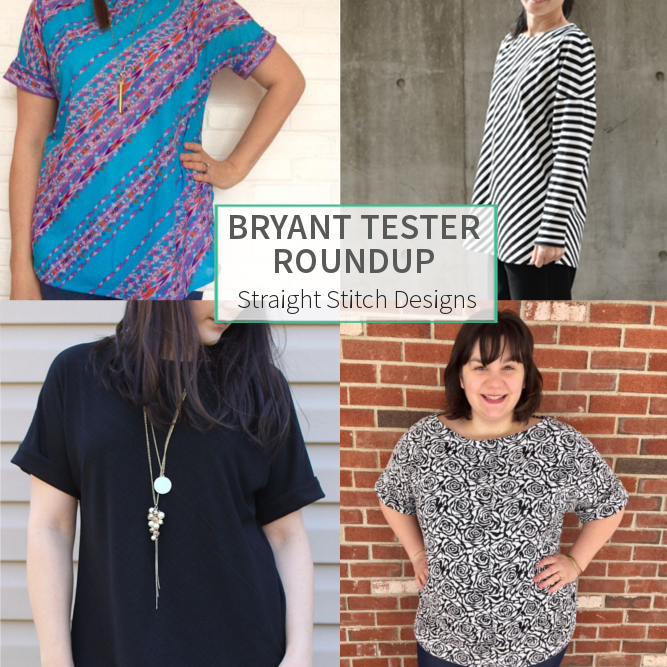 My post yesterday on how different the pattern fits depending on the fabric you choose, is even more evident today with the Bryant Tester Roundup. These ladies sewed up a bunch of amazing tops and I can’t wait to share them with you. Abigail really took the opportunity to show off the print in her top. The bold blue and white stripe cut on the bias looks amazing! Sewn in jersey. 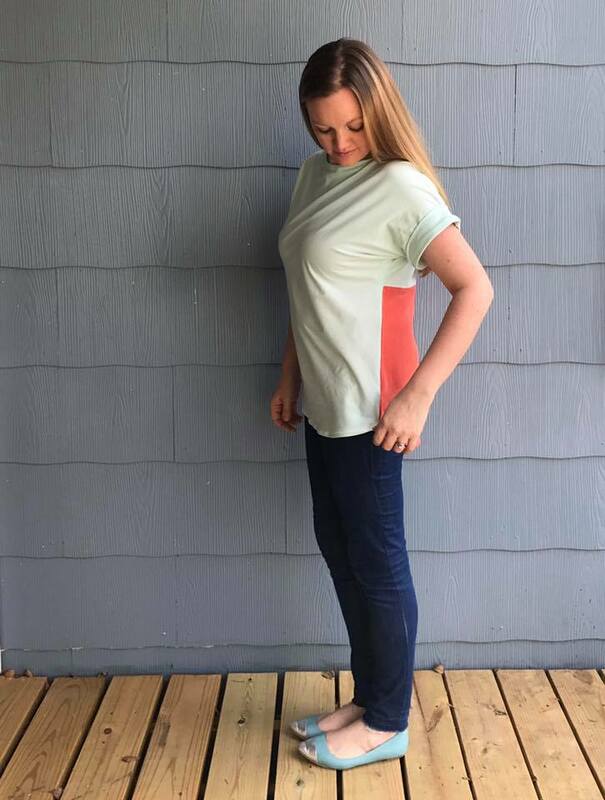 Terri of Blue House Joys colour blocked the back of her top. And while it may have been done because she was short on fabric, I love the look. Sewn in cotton lycra. 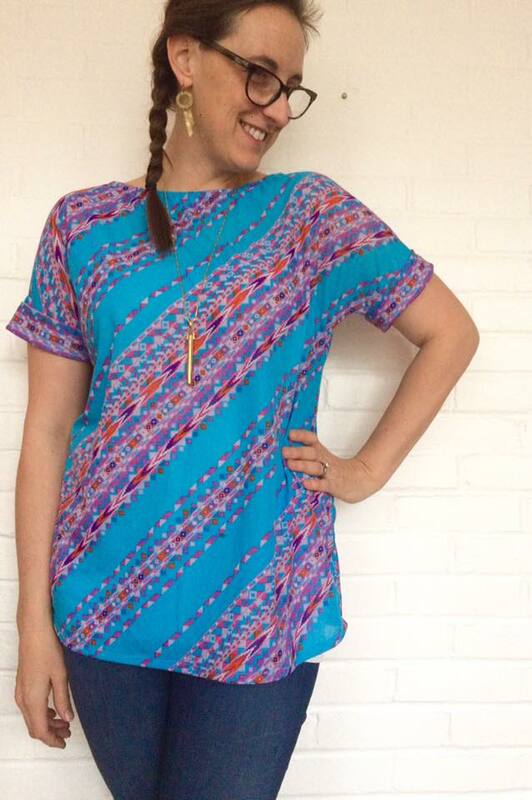 Susi’s bright top makes me wish I was in Mexico with her. 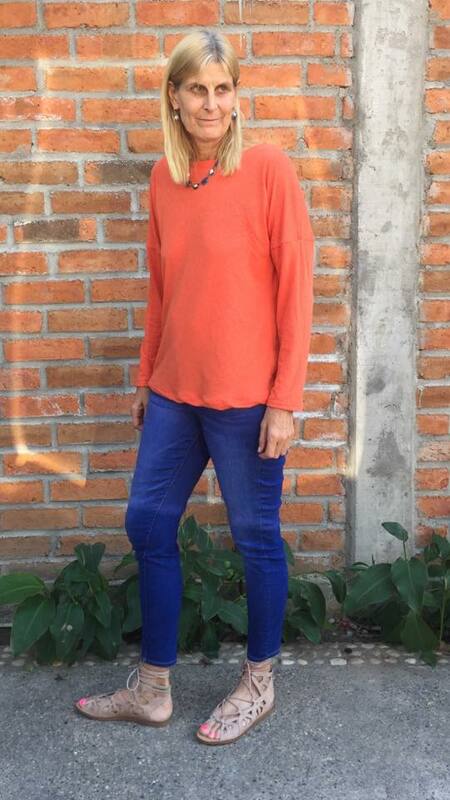 The relaxed top looks great paired with the skinny jeans and sandals. Sewn in cotton lycra. 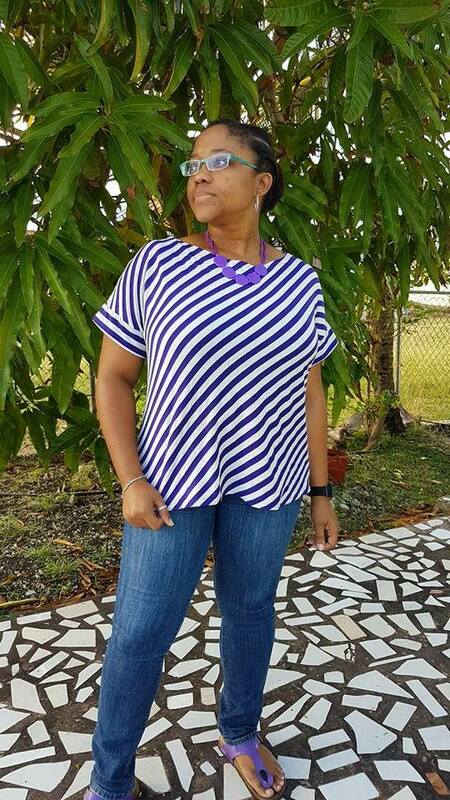 Kudos to Sharon for stepping out of her fabric box and sewing up this bold print. 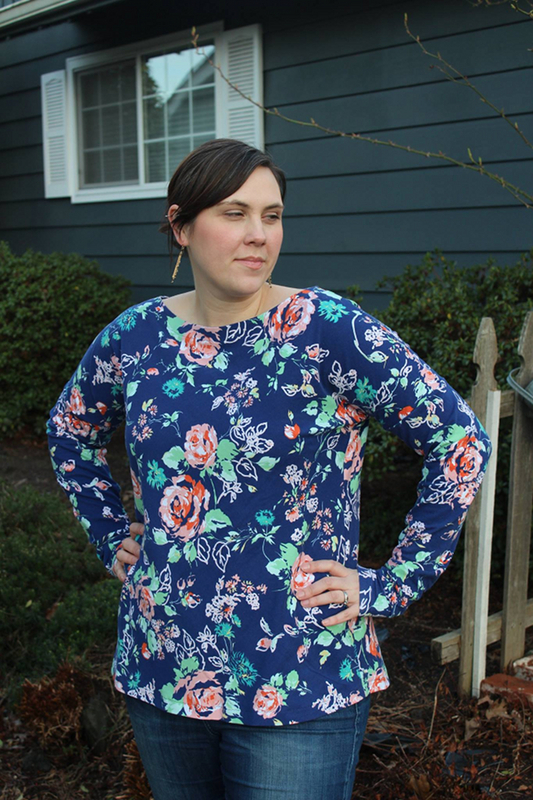 Sharon sewed up two versions and shared all about it on her blog. Sewn in Cotton Lycra. Sarah was already thinking about pairing her Bryant with a Phinney Ridge she made a few weeks ago. The bright springing fabric looks great on her. Sewn in organic cotton lycra. 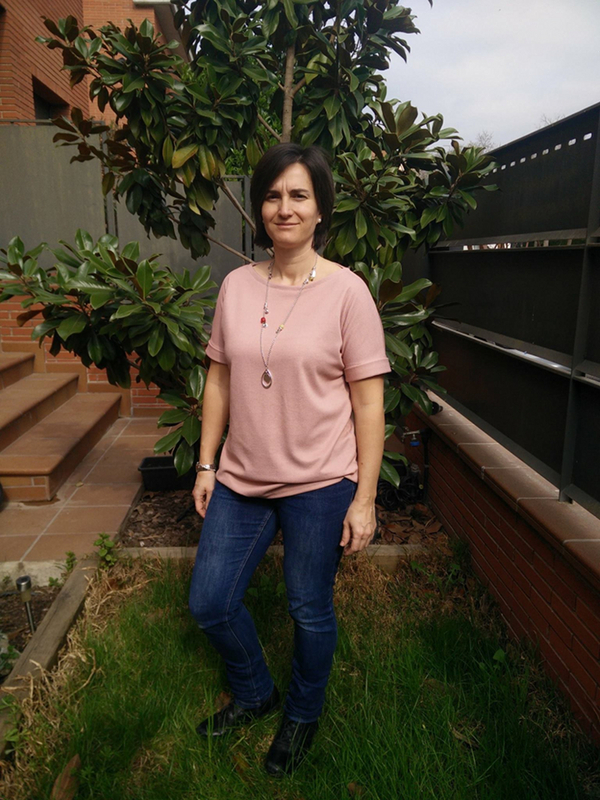 Robynne was like many of the testers who was thinking about spring but faced with winter. 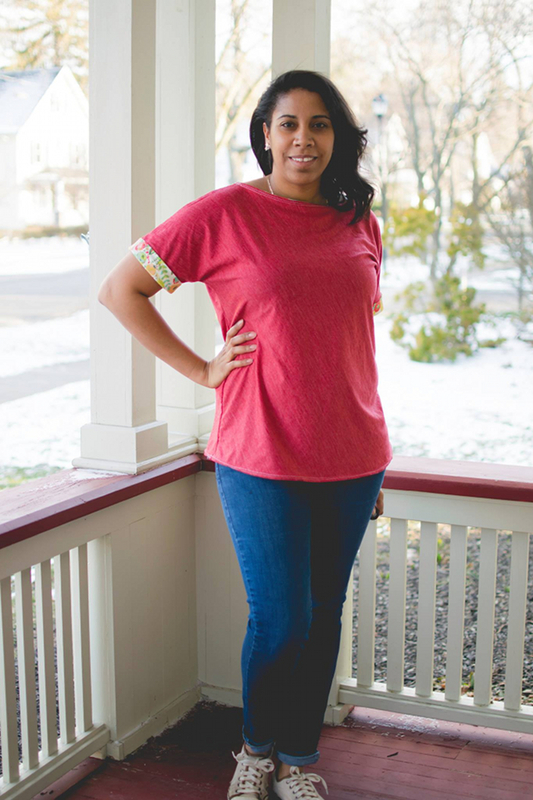 The subtle sparkle of the fabric gives the top a fun pop. 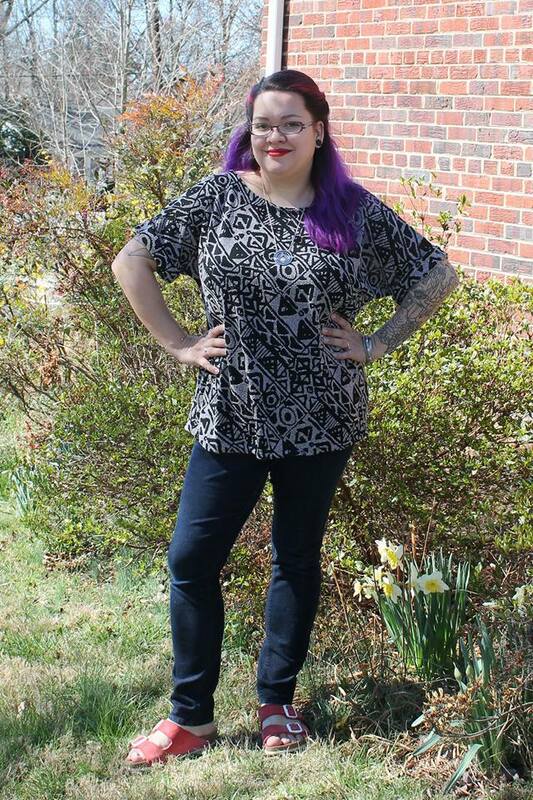 Read more about Robynne’s top on her blog. Sewn in a lightweight blend knit. 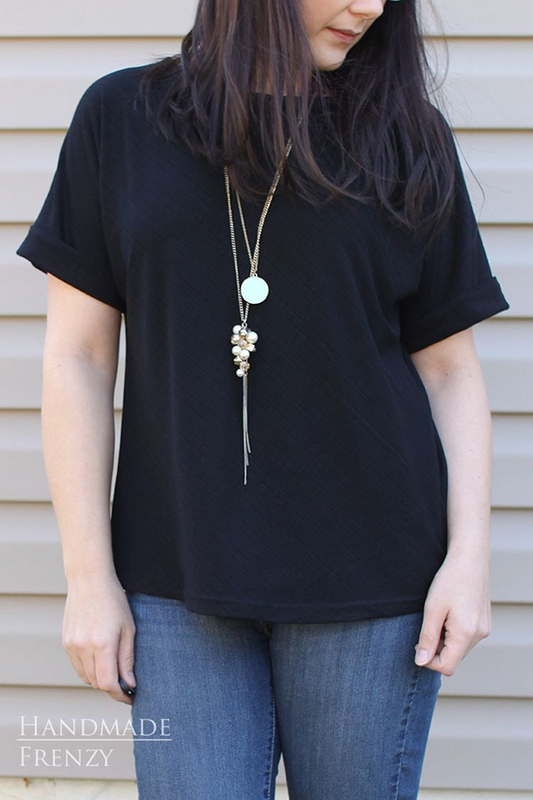 Michelle went for a wardrobe basic with her black top, but it is anything but basic. I love a good solid top and this one looks amazing on Michelle. Sewn in crepe knit. Marie Fleurine cheated a little bit and made her top out of a woven, but it’s fabulous so I forgive her 🙂 Sewn in rayon challis. Maridalia went nice and bright with her red top. I love that she used a fun print for the cuffs, I never would have thought of doing that. And you can’t see it but she used the print for the facing too. Sewn in jersey. The light pink Bryant that Maria sewed up is such a lovely colour. This fabric has great shape which is really evident in the boatneck and sleeve cuffs. Sewn in rayon knit. Krisha sewed up two versions which you can read about here. I really like the way this top fits her at the neckline and through the body. Sewn in ITY. Katie went for the ultimate in comfort with this long sleeve version. Due to her smaller frame Katie altered the length of the body and sleeves to be more in line with the pattern and the result fit her great. Sewn in a heavyweight cotton lycra. 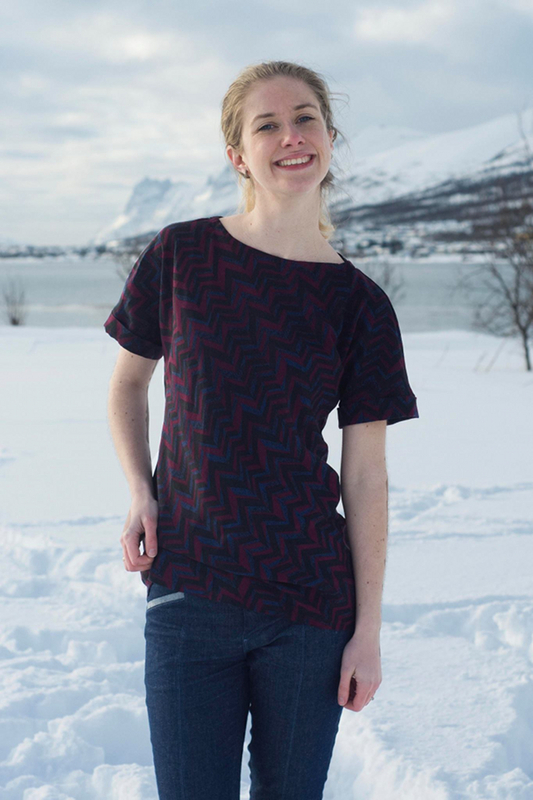 Everyone is probably wondering how this pattern works with double brushed poly, well Katie showed us that it is a perfect pairing for this pattern. 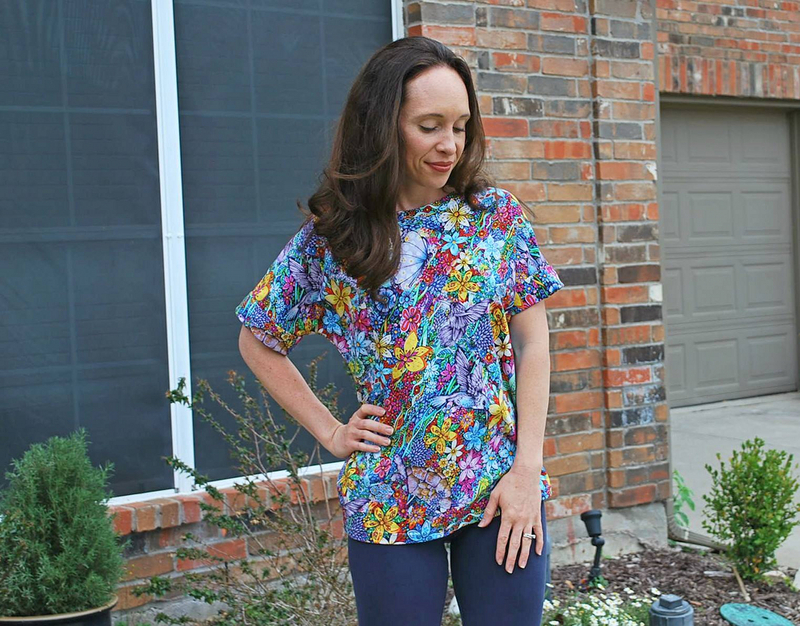 The print of this fabric gives it a fun look by being cut on the bias. Sewn in double brushed poly. 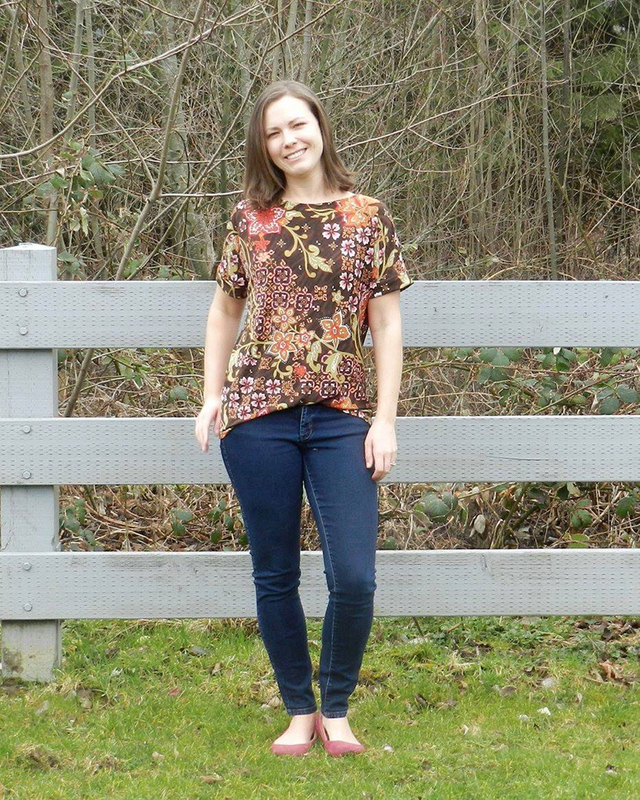 The print on this top sewn by another tester named Katie 🙂 leave you with the ability to wear it casual or dressed up, that’s a great combination. Sewn in sweater knit. Kara and I both seem to be on a grey kick, and I can’t complain at all. 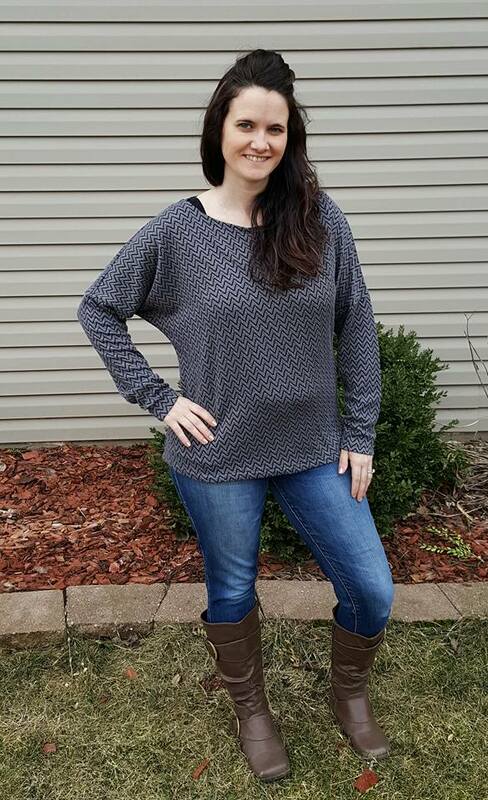 This long sleeve version will carry her through to spring looking fabulous. Sewn in sweatshirt fleece knit. 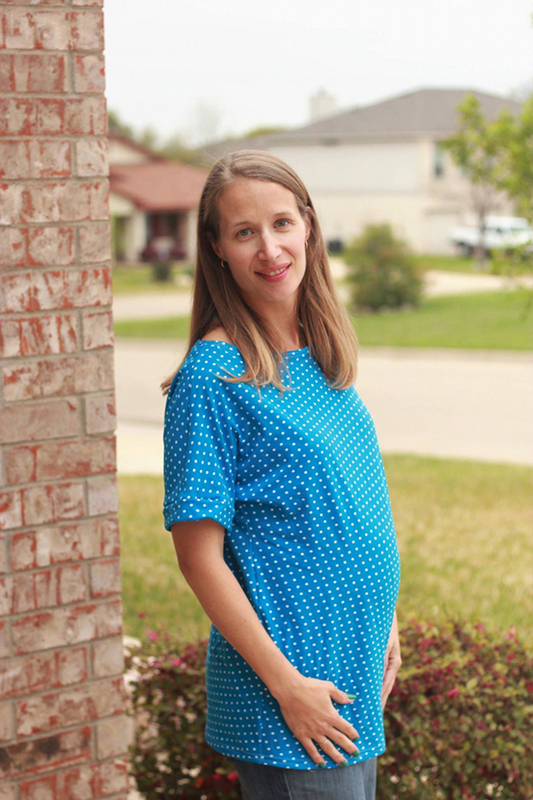 I convinced Jennifer to join us for this test even though she is pregnant, watch for a special remix on the blog soon. This unaltered version fit right over her belly and she looks great. Sewn in cotton lycra. 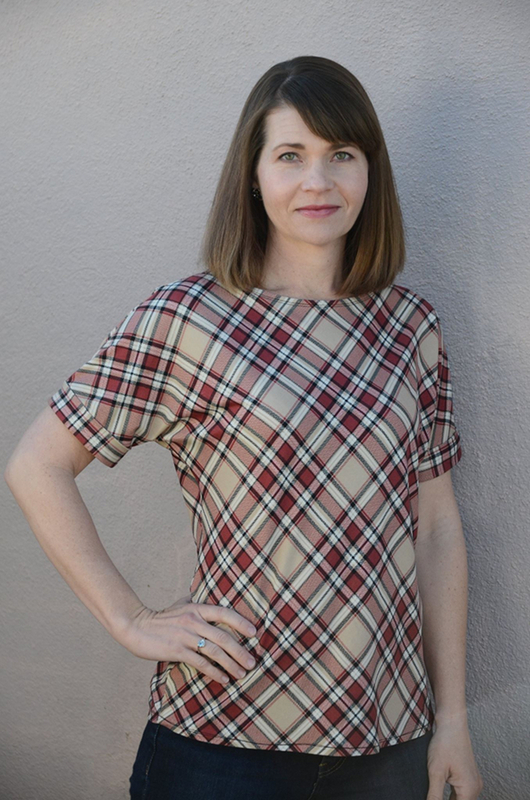 Andie went with a structured knit that really shows off the neckline and sleeves. 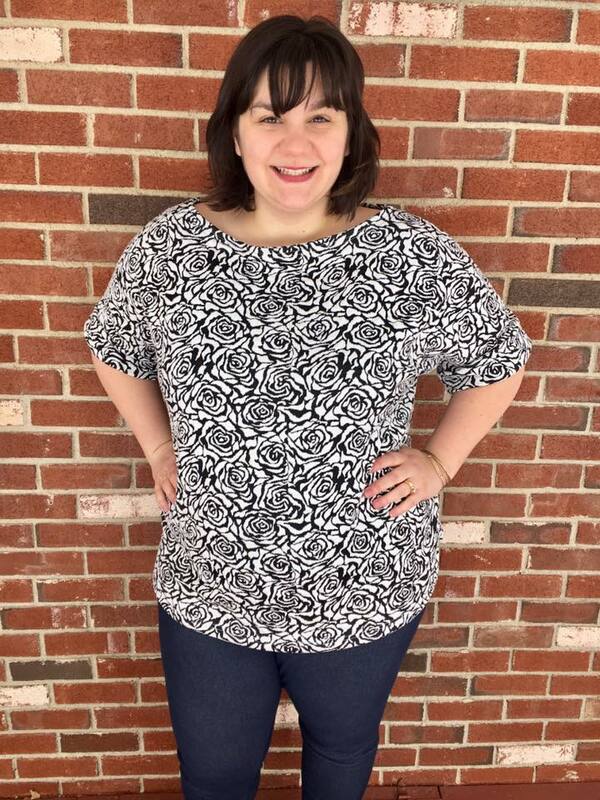 This print has great texture and can be worn so many ways. Sewn in a jacquard knit. I am a bit of a sucker for a floral print so when Cat showed off her version I knew it was a hit. 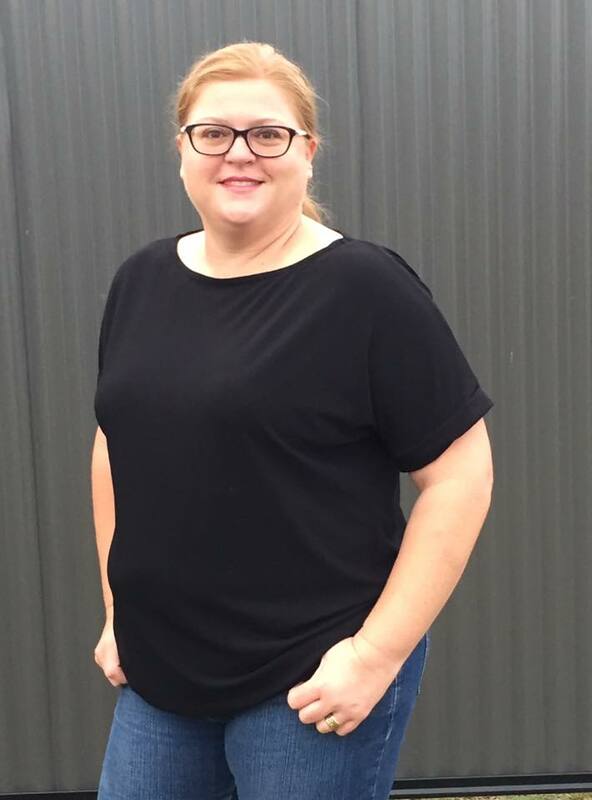 The long sleeve works great with the fit of this top. Sewn in cotton lycra. Emi really showed off the pattern by making her version out of a stripe. And look at that pattern matching on the sleeves, that is no easy feat when cutting on the bias. Sewn in jersey knit. 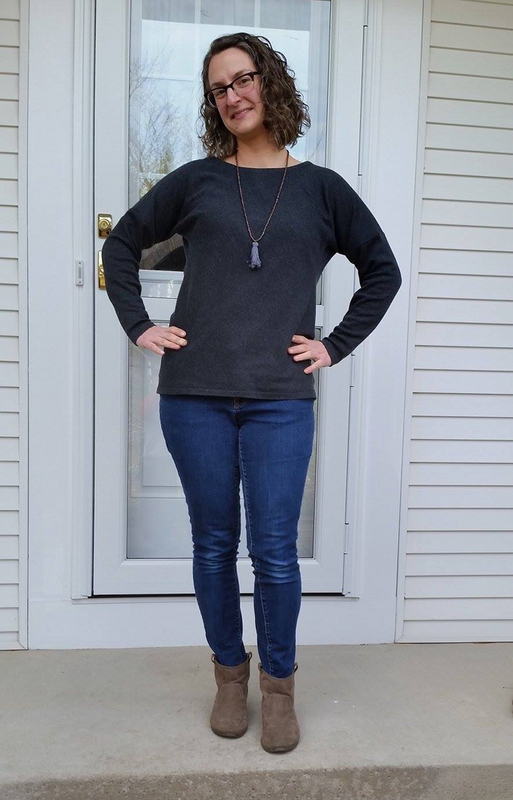 Victoria sewed up a structured version that looks amazing with jeans and a pop of colour from the necklace. I love how the choice of fabric really highlights that sleeve cuffs and boatneck. Sewn in ponte de roma. 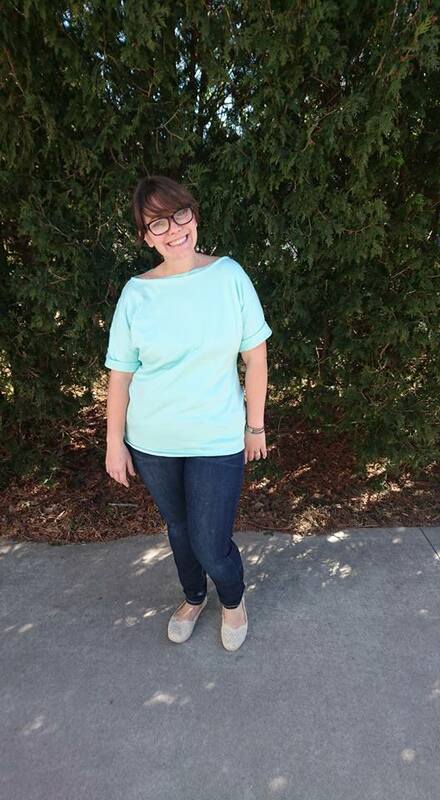 Last but certainly not least is Heidi and her new wardrobe basic piece. The slight texture of the rib knit gives is some visual interest. Heidi also sewed up a woven version that she made with my current favourite colour, olive. Read all about her black one here, and the woven one here. Sewn in rib knit. Another great tester roundup is done and I hope that the versions I have shared give you inspiration for your next Bryant.